1) It’s truly the Grand Strand. Myrtle Beach is known as the Grand Strand because that’s exactly what it is: grand. The area includes 60 miles (96 kilometers) of coastline from Little River to Georgetown and 12 unique communities that stretch from north to south, east to west. In North Myrtle Beach, visitors can relax among fewer crowds and explore the quaint fishing village of Little River. South of Myrtle Beach proper, guests can enjoy fresh seafood from Murrells Inlet (also known as the seafood capital of South Carolina), cast a line along Surfside Beach Pier, or take in the rich historical area of Pawleys Island. With this vast area, it’s no wonder more than 17.2 million people choose the destination for their vacation. There’s truly something for everyone including historic Southern towns and charming waterways to beach communities and oceanfront entertainment. 2) Myrtle Beach is not just affordable; in some cases it’s even free. It isn’t a secret that Myrtle Beach is an affordable beach destination, but what may be surprising is how much can be enjoyed at absolutely no cost. Just some of the memorable attractions and experiences which feature free entry include T.I.G.E.R.S. Preservation Station, a wildlife exhibit and tiger sanctuary; the Franklin G. Burroughs - Simeon B. Chapin Art Museum; and First Saturday Art Walks in Conway. In addition, free, live music can be enjoyed during the summer at Garden City Pier, the Marshwalk at Murrells Inlet, Broadway at the Beach and at Plyler Park for Hot Summer Nights, along with an impressive fireworks display every Wednesday through the summer. Even more free entertainment is also found year-round at countless city events. And of course, the 60 miles (96 kilometers) of pristine coastline and sandy beaches are always free. 3) You don’t need to compromise luxury. Affordability certainly never compromises luxury in Myrtle Beach. Gorgeous beach homes, oceanfront condos and picturesque resorts leave little to be desired when it comes to accommodations. Award-winning restaurants with scenic views only add to the appeal, along with bucket list-worthy attractions and experiences. 4) There’s so much more than summer. While it’s true that most visit during the summer months, the undeniably beautiful spring and fall seasons are also worth considering. With warm temperatures, even more affordable accommodations and less crowded attractions, the spring and fall offer visitors an extended summer. 5) History abounds. Myrtle Beach was once the most fruitful rice production region in the world. It is still home to grand antebellum homes and expansive rice farms, not to mention the same serene waterways that made it so attractive for agriculture and picturesque historic towns formed to meet this demand. 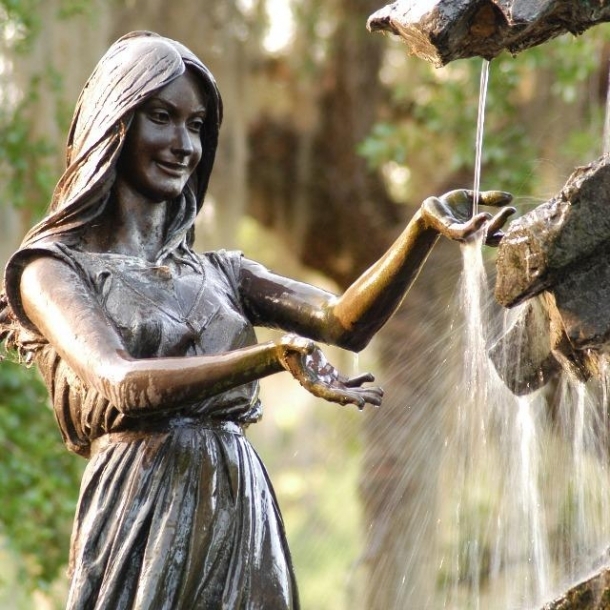 Beyond these attractions, Myrtle Beach also boasts the largest outdoor sculpture garden in North America, a working farm that harkens to early 1900s life, an impressive museum that reveals marvels from the Civil War and so much more. 6) Music is on the main stage. Myrtle Beach is synonymous with entertainment, and it goes far beyond the powerhouses of The Carolina Opry and Alabama Theatre. A great show is never far with the Long Bay Symphony, The Palace Theatre and Legends in Concert located nearby. Seasonal celebrations where music plays the main role include Beach Boogie & BBQ, the Carolina Country Music Festival and the annual Shag Dance Championship, which celebrates the South Carolina state dance in the city where it got its start: North Myrtle Beach. And yet that still just scratches the surface on live music, which can be found virtually any night of the week everywhere from the infamous Bowery, where legendary band Alabama had its start, to the ever-popular Garden City Pier, or at centrally located Plyler Park or local winery La Belle Amie Vineyard, to name just a few. 7) That catch is fresh. The Myrtle Beach area is home to the “Seafood Capital of the South Carolina” in the picturesque, seaside community of Murrells Inlet, which supplies the state and beyond with its daily fresh catch. This means the fish that hits your plate in Myrtle Beach was likely caught just a stone’s throw away. Trust us: the food alone in Myrtle Beach is worth the visit. 8) A great beverage is never far. What’s a great plate of food if it doesn’t have a memorable beverage alongside? Myrtle Beach doesn’t disappoint there either, with craft breweries, local wineries and unique cocktail options aplenty. 9) Nature’s majesty goes far beyond the beach. The beach is the main event in Myrtle Beach, but the sideshows are just as gorgeous. Myrtle Beach State Park and Huntington State Park, for example, are both a lush oasis for birdlife and a serene location for abundant fishing or crabbing, as well as the perfect spot for nature trails. Biking, walking and running are also encouraged across the destination, from the extensive downtown boardwalk to lengthy trails. Nature can also be enjoyed from the waterways, by boat along the intercoastal or ocean, by surfboard or paddleboard near the shore, by kayak along the marshes, and more. And of course, there are few things that bring one closer to nature than camping. Myrtle Beach boasts some of the best campgrounds right along the ocean. 10) It’s always wedding season. The beauty, history and charm of Myrtle Beach, not to mention its variety of affordable accommodations and attractions to entertain any number of guests, make it an idyllic wedding destination. In recent years it has emerged as a hot spot for weddings, vow renewals and even pre-wedding parties. Grand ballrooms, secluded beach homes, and plantation homes are venues to suit any size, budget and style. For additional information on the Myrtle Beach Area, visit www.VisitMyrtleBeach.ca or call 1.888.Myrtle1.